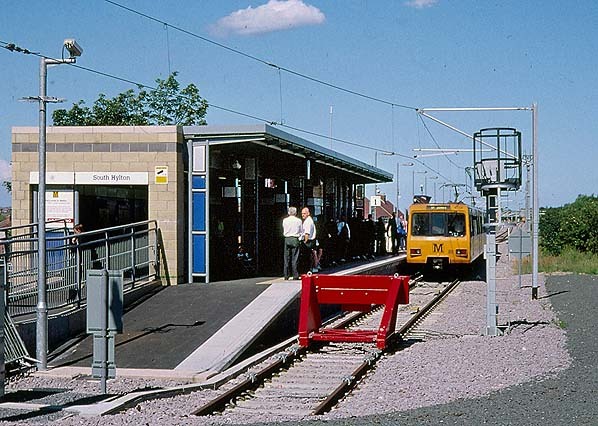 Notes: This single platform station opened on 31 March 2002 as the terminus of the Tyne & Wear Metro line from Sunderland. 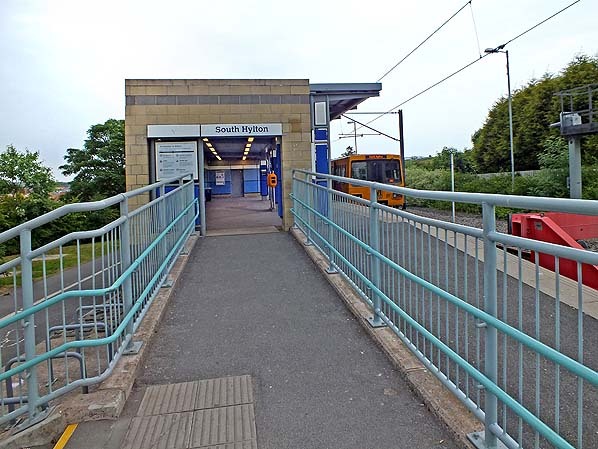 The station is about 100yd north-east of Hylton station on the former Sunderland – Penshaw route, which closed to passengers in 1964. South Hylton has a breeze block building in the style adopted for this branch. 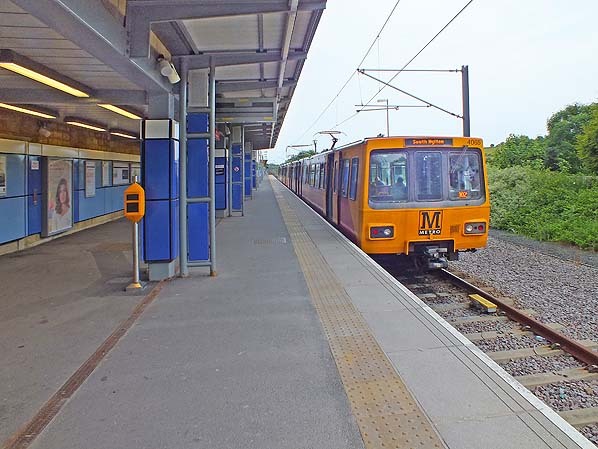 This station possesses the longest functioning platform on the Tyne and Wear Metro network (133½yd). 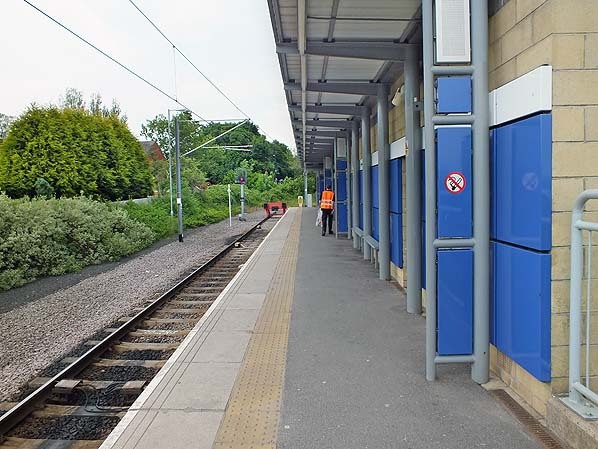 Because of this, the one platform is officially recognised as two platforms (Platform 1 and Platform 2) and therefore can accommodate two Metro trains. 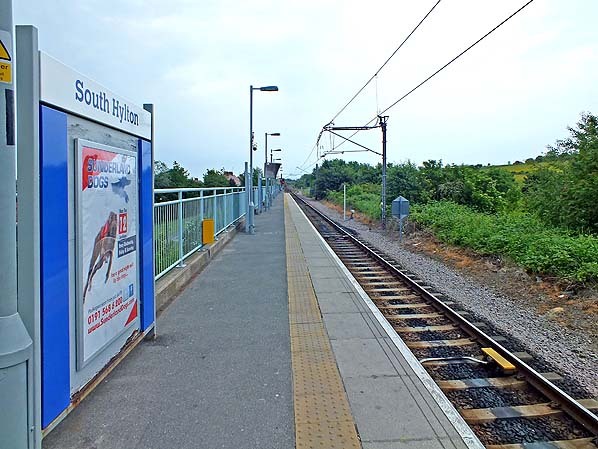 On 11 July 2002 a Metro train stands at the single platform terminus at South Hylton. The view is north-eastwards; the site of Hylton station is behind the camera. South Hylton station, looking south-west under the awning in June 2013. 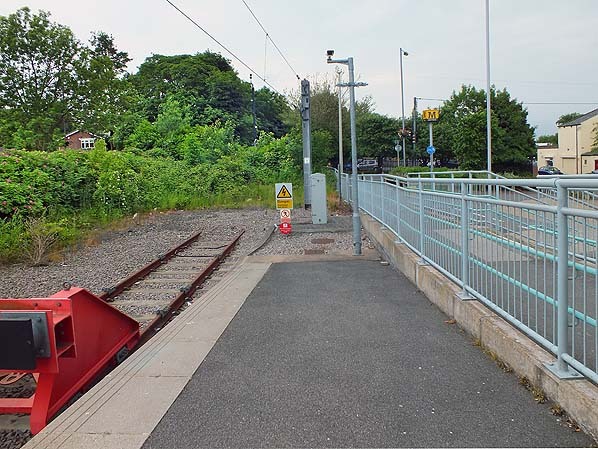 The end of the line at South Hylton Metro station seen looking south-west in June 2013. The level crossing was a few yards past the trees, and Hylton station was beyond the crossing. Passenger services on the line ahead ceased in 1964 and freight in 1967, after which the tracks were removed. Looking north-east along the platform at South Hylton in June 2013. A metro train is standing at the South Hylton terminus in June 2013. 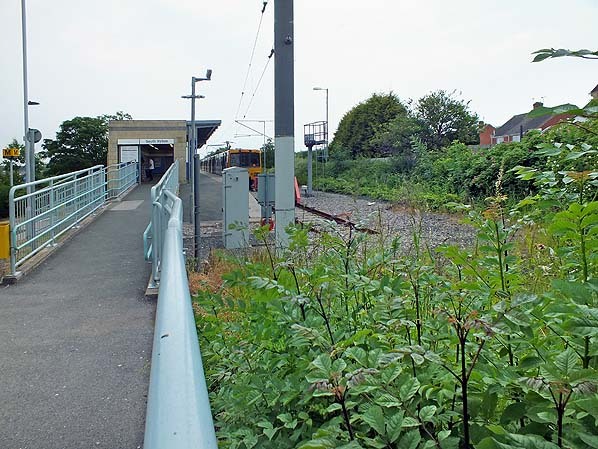 Looking north-east up the ramp to South Hylton station in June 2013.